A few days ago, as a holiday gift, Sanchez surprised me with Star Citizen. I am pretty excited to say the least. 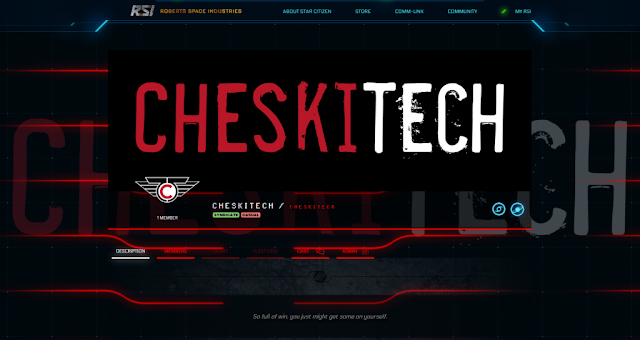 The Cheskitech Organization was formed recently and if you are going to play, consider joining us. To learn more about Star Citizen, check out the video below. See you in the void.